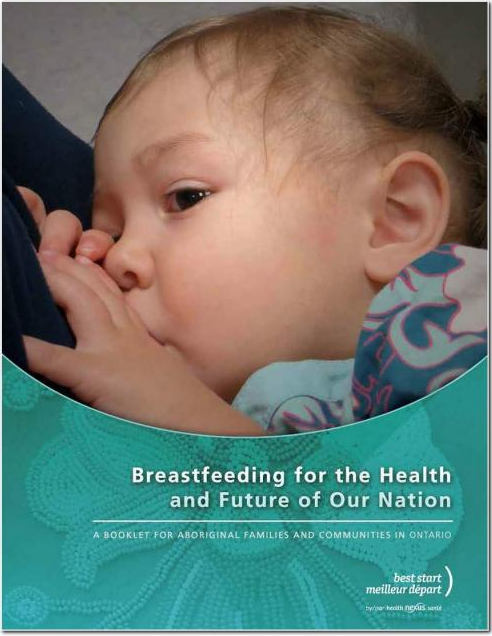 This booklet supports Aboriginal women with breastfeeding. The Medicine Wheel symbolizes balance needed to support breastfeeding women. Topics include learning to breastfeed, cue-based feeding, skin-to-skin, hand expression, common concerns, frequently asked questions, and where to get help. There are also PDF fact sheets on the Best Start Resource Centre website that complement this booklet: Blocked Ducts, Breast Infection (Mastitis), Expressing and Storing Breastmilk, Thrush.